There’s a weekend ahead filled with tons of fun options for area families including a Japanese spring festival in Delray, a seafood and music festival in Abacoa, your last chance to catch replicas of Columbus’ ships, a celebration of spring in Boca, and a Coastal Fest on the Riverwalk in Jupiter. Plus, much more so keep reading. 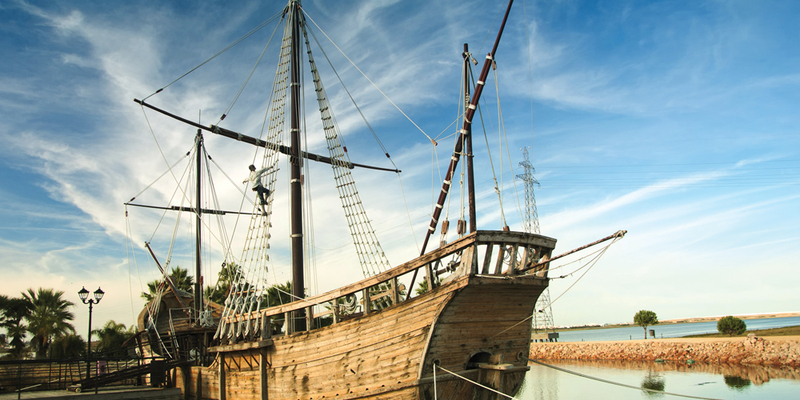 Why you should go: Explore real replicas of Columbus’ ships, the Nina and the Pinta, docked at Harbourside Place! The Columbus Foundation is bringing their two replica ships to Jupiter again this spring. Why you should go: Live music, tons of seafood, vegetarian options, arts and crafts and admission is free. Why you should go: Celebrating the first bud of spring, this annual event transforms Morikami Park into a unique Japanese spring festival featuring three stages (with taiko drumming, live painting, martial arts demos, and our annual costume and fashion show contest), avenues of artisan booths, plant sales, Japanese street fair food vendors and children’s activities. 81. Scattered Thunderstorms. 50% chance of rain. Why you should go: You like food trucks but prefer a smaller and slightly quieter atmosphere than other local food truck gatherings. Why you should go: Bring your blanket or lawn chair and enjoy a movie under the stars. Free popcorn, there will also be lawn games, trivia, raffle prizes and more. Why you should go: The first Friday of each month CityPlace offers up some family-friendly fun to kick off the weekend. This month, families are invited to get their hands dirty with planting activities, flower-crown making, herbal teas and more. 83. Mostly Sunny. 20% chance of rain. Why you should go: Help keep our beaches clean. FREE Breakfast will be served after the cleanup. There will have a word from this month’s sponsor and “thank you for coming” raffle prizes. Community service hours awarded. Why you should go: Free activities will include egg hunts, face painting, glitter tattoos, lawn games, arts & crafts, and a petting zoo! Photos with the Easter Bunny or a live mermaid will be available for $5. Why you should go: Do your kids like pirates? Are they *real* kids? They’re gonna love this event and it’s free. Why WOULDN’T you go. Why you should go: Encourage a love for nature and ornithology in this hands-on workshop where you and your child can build a birdhouse. Why you should go: Explore the work of contemporary artist Nick Cave then piece together your own sculpture using unique found materials such as buttons, magazine clippings, bottle caps, fabrics, and much more. Why you should go: Bring the children to enjoy a selection of short family films from Colorado’s acclaimed Telluride Mountainfilm festival. These uplifting stories are told in fun, engaging ways to entertain and inspire families to talk about today’s issues. Recommended for ages 4-7. Why you should go: This is a land-based course to provide beginners the skills necessary for kayaking. Reservations are recommended.